Shorts can be casual but they can be dressed up too. You can up the ante on your shorts game with a pair of shorts that are cut nice and slim but that are long enough to graze your knees–which means they’re a little longer than the thigh-tanners you wear at the beach or the gym. 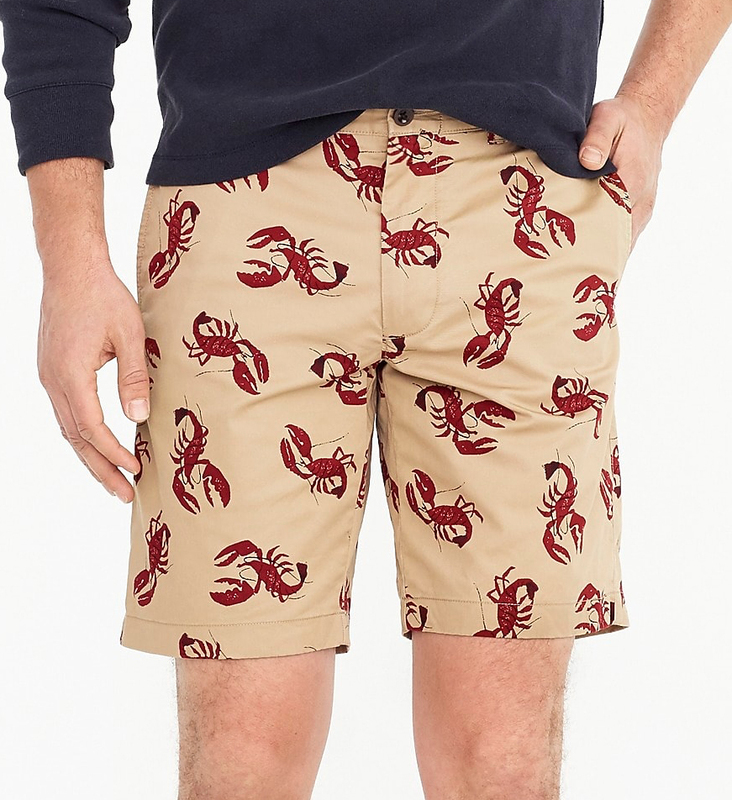 Knee-length shorts started by the British men who wore them in hot places like Bermuda (thus “Bermuda shorts”) but they have since been adopted by men everywhere who appreciate the way they combine coolness with a little decency. These aren’t the cargo shorts of your teenage years–these are longer without being blousy, and print-covered without being obnoxious. See that taper from the thigh to the knee? Look for that when you’re shopping. Shorts call for something equally casual up top, like a polo or t-shirt. For bonus points, turn up the hem on your slim long shorts, it’s the equivalent of rolling the sleeves on your shirt. Loafers are a good alternative to sneakers, they sync up perfectly with the post-dorky cool thing kicked off by the polo you might be wearing up top. When it comes to proportions, your shorts should be exactly as slim as your shirt–no more, no less. I hope these looks inspire you to break out of your traditional shorts this summer. If you have any questions about what shorts are right for you, where to buy them, or anything other style question, you can always ask me in the comment box below. Have a great day and don’t forget to subscribe to my newsletter to get Reyal Fashion sent straight to your inbox.